The all-party Board of Internal Economy has officially signed off on a new "harassment prevention policy" for MPs and political staffers. 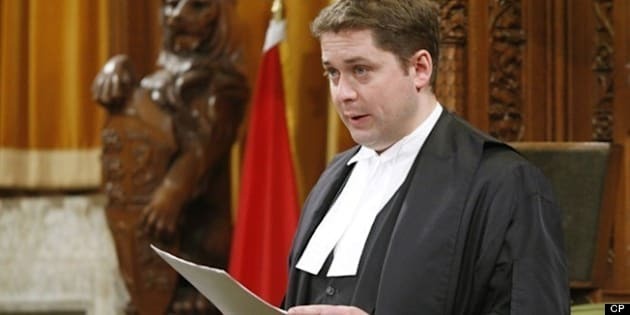 According to a release issued Wednesday by House of Commons Speaker Andrew Scheer, the policy, which "builds on the framework" already in place, will come into effect immediately. It includes new processes for filing formal and informal complaints, as well as for conducting investigations, appeals and for communicating results and findings. The new policy also outlines the "rights and obligations" of both complainants and respondents, as well as the roles and responsibilities of "all concerned parties." An awareness program to promote the new policy will also be launched soon, the release said. "The [Board] is responsible for employee relationships on the Hill, and we are not responsible for the privileges that exist between MPs," New Democrat MP and Board member Philip Toone told reporters just before question period. "The power relationship is different, so we wanted to make sure the power relationship between employees and employers was addressed first, and I think we've done that." He said that the process will allow employees to "go directly to a third party" to address concerns. "I think we're the first legislative assembly in the country that has done this, and I think we have shown a good example for others as well," he added. Conservative Whip and board spokesman John Duncan called it "long overdue." Most harassment-related conflicts can be solved "long before it gets to a formal stage," he told reporters. "This policy sets out how to get to a resolution confidentially, and ... respects all of the principles of harassment policies that many employers have had for many years." The board dealt with the matter "as they thought was appropriate for their jurisdiction," Government House Leader Peter Van Loan told reporters shortly after the policy was released. "This was designed to fill what were perceived by some to be gaps that existed, and will be there to deal with any harassment complaints for people who are employed by Members of Parliament." As for the question that "a lot of folks have focused on" — namely, harassment allegations between MPs — Van Loan noted that is currently being reviewed by a newly created House subcommittee, which held its first meeting behind closed doors on Monday. New Democrat MP Nathan Cullen called it an interim policy, and noted that the board would continue to study the issue in the new year. He also pointed out that New Democrat staffers were already protected. "Our employees are unionized and they have a collective agreement and we have had very specific anti-harassment policies embedded in our collective agreement," he explained. "Now the House has gotten hold of this issue, and it’s going to be expanded but I don’t get the sense that the conversation is done yet. The Board of Internal Economy will have to return to this issue come the new year. We look forward to that." Liberal House leader Dominic LeBlanc, who also sits on the board, said the new policy will protect "the vast majority of the thousands of people who work on Parliament Hill." He also echoed his colleague's prediction for the new year. "We're very hopeful that early in the new year, similar provisions will be adopted as it pertains to Members of Parliament."